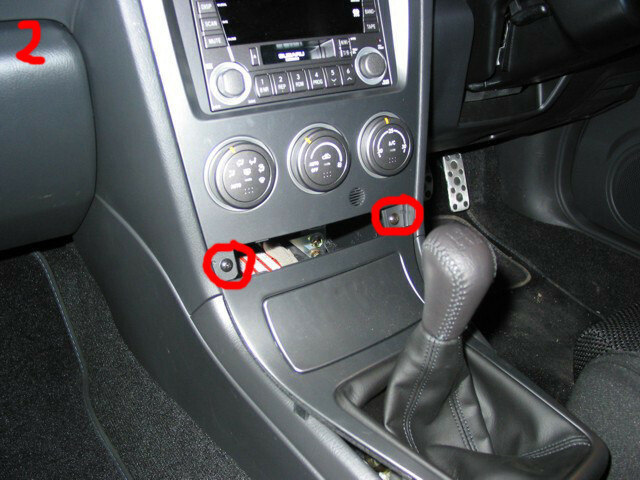 You should now be able to see the two screws holding the head unit fascia in place. Remove these two screws. Using a suitable thin rigid tool such as a knife blade prise the remaining two clips (marked x in the photo) loose. 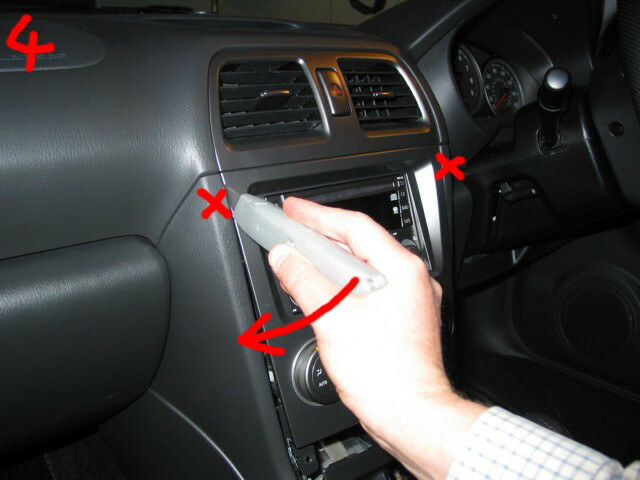 The best way to do this is to push the tool into the narrow gap and as you push in move your hand outwards (in the direction of the arrow). Don't use a plastic tool because it will snap. Be careful not to scratch the fascia. The fascia should now lift clear. 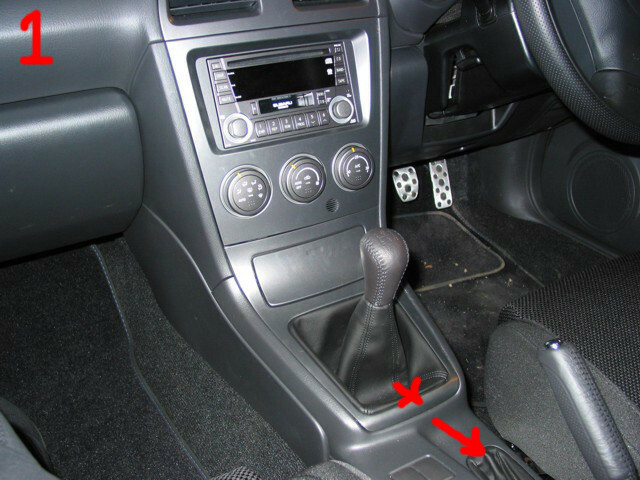 You won't be able to remove it completely because of the heater control wiring, but you should be able to move it far enough away to be able to get at the head unit itself. 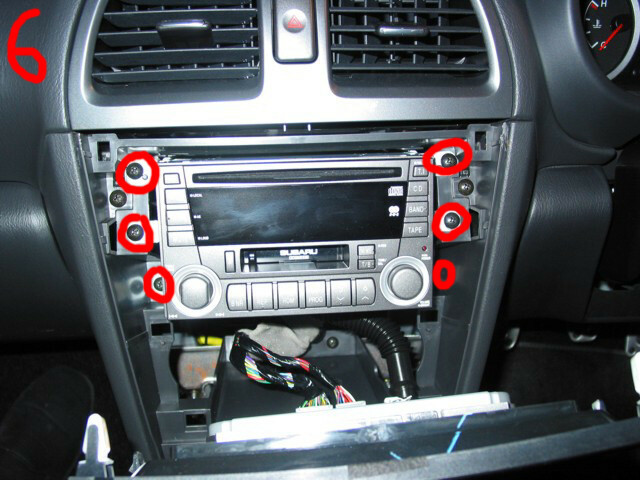 The head unit is held in by six screws (marked on the photo). 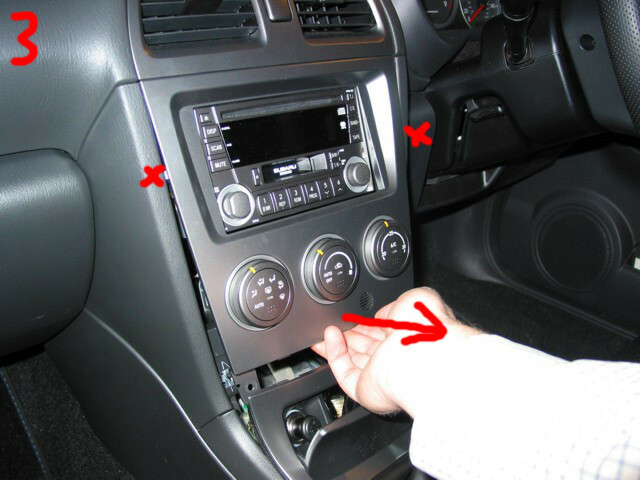 Remove these screws and the head unit will pull free. Disconnect the aerial wire and wiring loom to complete the removal. 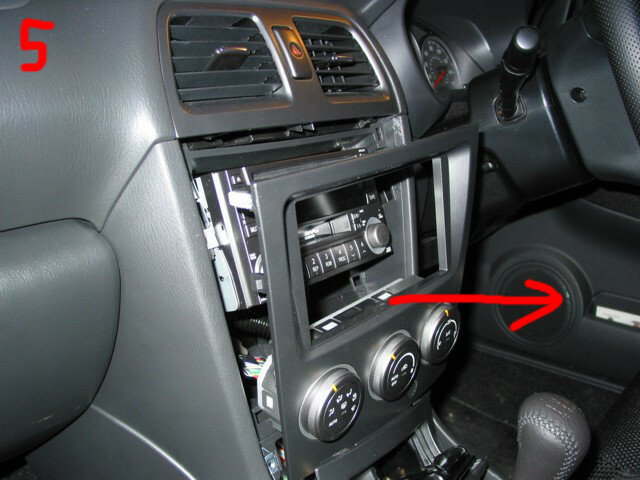 You will need to remove the two metal brackets attached to the sides of the head unit (one bracket and four screws on each side) to attach to your new head unit. 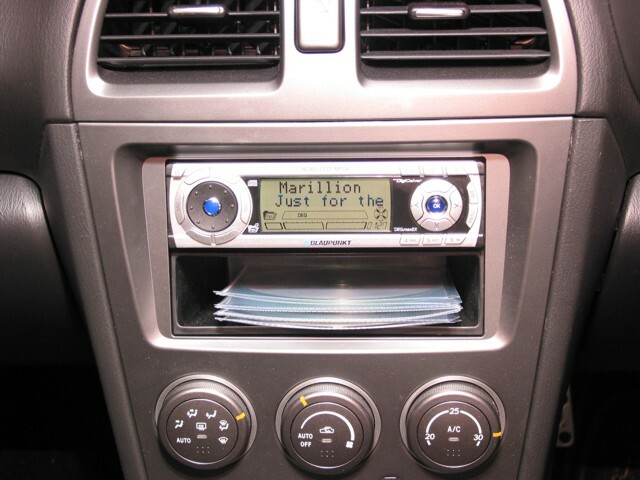 Here's a photo of a completed replacement with a Blaupunkt MP53 and a black plastic Subaru Forester pocket (part no. 66128AE000 I think).